They offer fascinating journeys on one of the world’s most famous and beautiful rivers. Their Nile cruise holidays combine top facilities, premium service and fantastic shore excursions. The cruises sail from Cairo, Luxor and Aswan. Choose one of eight cruise ship concepts with journeys from four to twelve days. An Egyptian Nile cruise is an unforgettable experience. MS Hamees is among the largest and best-appointed crafts on the river Nile. It is currently under a complete redesign and renovation. It will feature a comfortable and contemporary design with top facilities and attentive staff. It has its own private dock in Luxor, just 15 minutes from the airport. It has 72 spacious and contemporary designed staterooms. Featuring only four suites, the boutique sailboat Mövenpick SB Feddya offers the closest experience to having your own private yacht – enjoy this exclusive concept for cruising the river Nile. This sailing boat operates upon request, so does not have any fixed sailing dates or itineraries. Mövenpick SB Feddya redefines the ‘dahabeya’, the traditional Egyptian sailing boat, with a fresh and unique concept. The Mövenpick SB Feedya enjoys a private dock in Luxor. Originally constructed in 1918 and later transformed into a luxury Nile steamer for King Farouk, the SS Misr by Mövenpick rekindles the nostalgia of a golden age with true luxury facilities and service. There are onboard 16 cabins and 8 suites in art déco design. SS Misr cruises between Luxor and Aswan, for 4, 5 and 8 day itineraries. Boasting an elegant and traditional design with stylish features, spacious public areas and first-class service the Mövenpick MS Sunray offers everything you wish for your perfect stay. There are onboard 66 spacious and elegantly designed cabins and suites. MS Sunray cruises between Luxor and Aswan, for 4, 5 and 8 day itineraries. As well, long cruises between Cairo and Aswan, and a special Holy Family Tour between Cairo and Asyut are available. Being one of the largest vessels cruising the Nile River the Mövenpick MS Darakum features an outstanding Moroccan inspired design and unique accommodation, facilities and service. 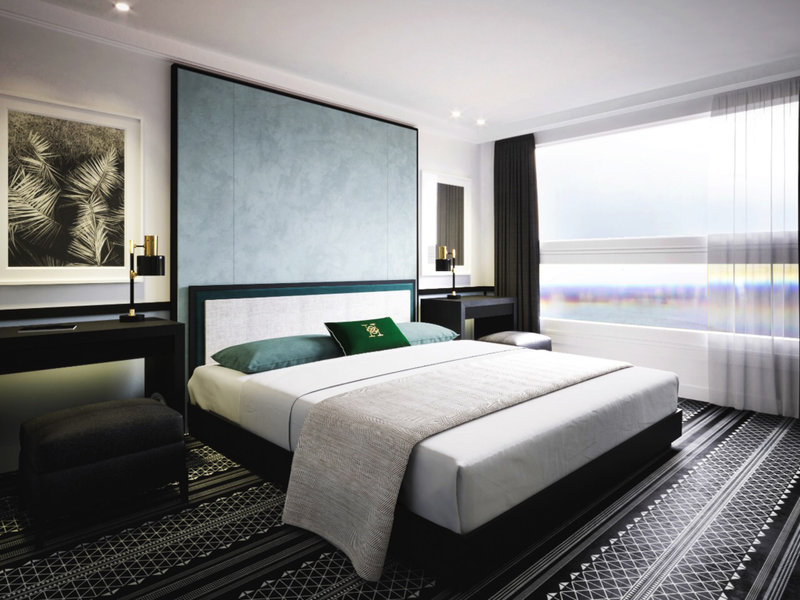 There are onboard 44 cabins and 8 suites in a unique design Moroccan inspired décor. 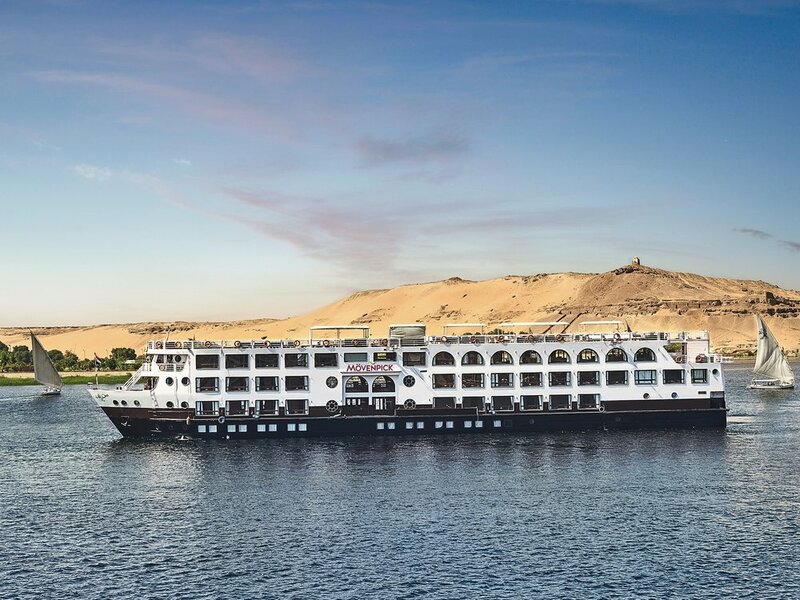 MS Darakum cruises between Luxor and Aswan. A long cruise between Cairo and Aswan is also available.